Beaches in Bali are the popular attractions for tourists. Most of the Bali beaches are pristine and beautiful. Every beach is unique, and some became popular for different reasons. Every year the majority of the tourists and travelers do visit Bali to explore many beautiful beaches. And almost all popular beaches are located in the southern part of Bali. During my six days solo trip to Bali, I explored some popular and beautiful beaches in Southeast, Southwest and North Bali. However, here are the 8 top beaches in Bali worth to visit for all. Most of all during peak seasons (July – August) popular beaches are overcrowded with many tourists around the world. All beaches are free for visitors apart from Padang Padang. You have to buy the ticket to explore this beach. I loved the atmosphere and unique beauty of the Padang Padang beach. I found Balinese offerings (Canang Sari) even placed on every sandy beach. This offering was something new for me. A kind of unique Balinese believes in thanking and praising their Gods everywhere. 9 Like This Post? Click To Save To Your Pinterest Board! Kuta Beach is the leading tourist attraction in Bali. The most visited beach in Bali. Majority of the tourists stayed in Southwest Bali where Kuta is an affordable destination. Kuta Beach is very near to Ngurah Rai International Airport. If you’re staying in Kuta, Seminyak, Legian then Kuta Beach will be very near to you to visit. 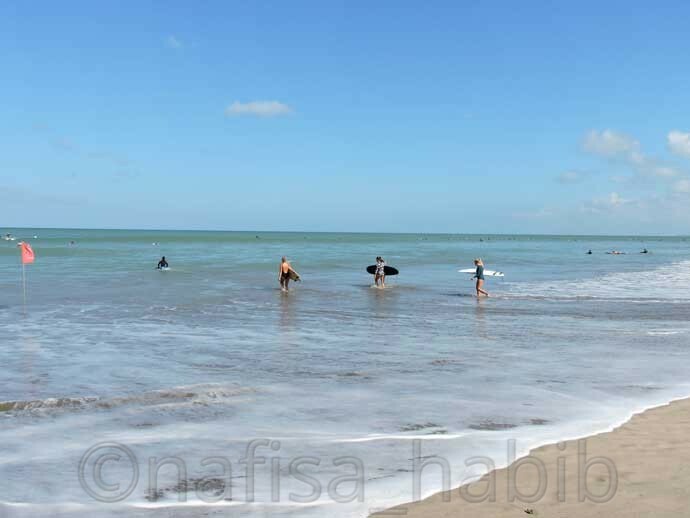 Surfing is the main attraction of Kuta Beach. The big waves of this sandy beach are best for surfing. Many famous surfers from different countries especially from Australia every year visit Kuta for surfing. Therefore there are many surfing schools to teach you surfing in Kuta. Furthermore many visited Kuta Beach to watch the sunset which is absolutely beautiful. 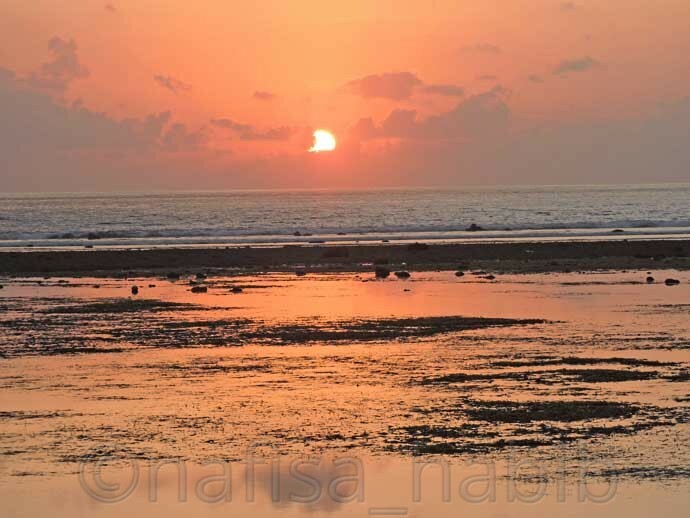 So Kuta Beach is also popular as Sunset Beach in South Bali. To avoid the crowd, you can visit early morning to enjoy surfing. 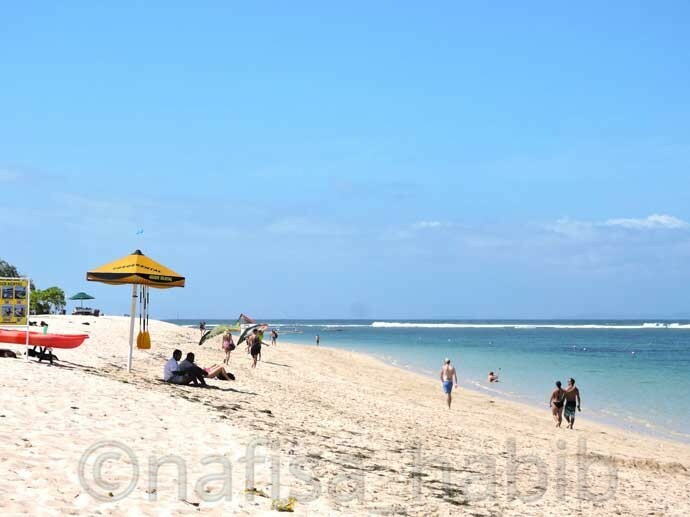 Geger Beach in Nusa Dua is the public beach and one of the popular one. This beach is also known as Nusa Dua Beach in Southeast Bali. It takes 20 to 30 minutes to reach Nusa Dua from Kuta. 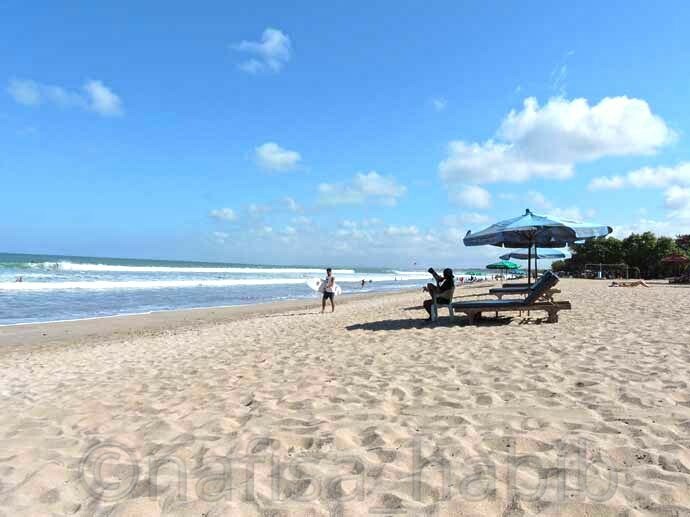 Geger is a white sandy beach and more pristine than Kuta Beach. Geger Beach is best for sunbathing and swimming. In addition, there are restaurants and body massage service inside the beach area. There is one spot known as ‘Water Blow’ is the main attraction of Nusa Dua Beach. 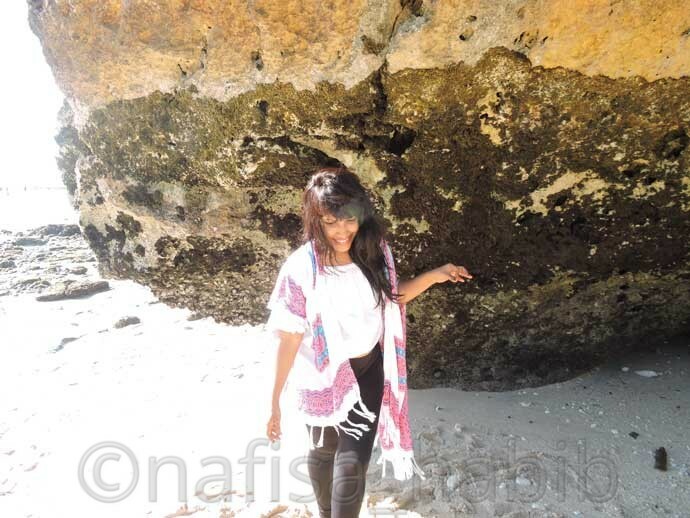 At this particular spot, the big water waves from the Indian Ocean keep on crashing onto the limestone rocks which creates an eye catchy water splash. Tanjung Benoa Beach is the top beach to explore underwater adventure in Southeast Bali. This beach is beautiful and calm; surfing is not possible here. If you’re staying nearby Nusa Dua, then don’t miss to visit Tanjung Benoa Beach to try many water sports here. Many water sports such as scuba diving, snorkeling, sea walking, jet skiing, banana boat ride and parasailing are the main attractions of Tanjung Benoa Beach. Therefore there are many dive and water sports center here. I loved Bali SeaWalker at Tanjung Benoa Beach for the first time with Zooka Dive & Water Sports. Padang Padang Beach is one of the top beaches in Bali worth to visit. This is my most favorite beach in Pecatu, South Bali. The white sandy beach is locally known as Labuan Sait Beach. Surfing and sunbathing are popular beach activities here with the backdrop of the rocks and the turquoise waters. 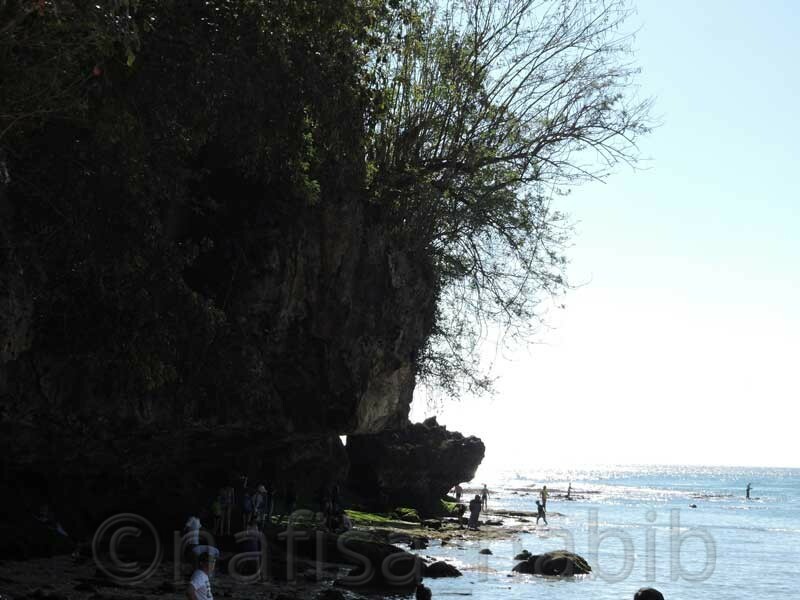 There is one natural 8 meters high tunnel like a cave you’ve to pass to reach Padang Padang Beach. It seems like you’re entering a private beach. The local landscape of this beach looks too picturesque from the endpoint of the tunnel. Padang Padang Beach is also popular among many as ‘Eat Pray Love’ movie spot. Jimbaran Beach is another most visited beach in Bali. It located in Southwest Bali and popular beach area for many luxury hotels and restaurants. This beach is also close to Ngurah Rai International Airport. You can enjoy the beach nightlife and the sunset moment at Jimbaran Beach. The main attraction of Jimbaran Beach is to have a romantic dinner while watching the beautiful sunset from any open air Jimbaran Seafood Cafes. Here you can have the fresh seafood but too pricey. Sanur Beach is the main tourist attraction in Sanur, Southeast Bali. Early morning is the best time to explore Sanur Beach. 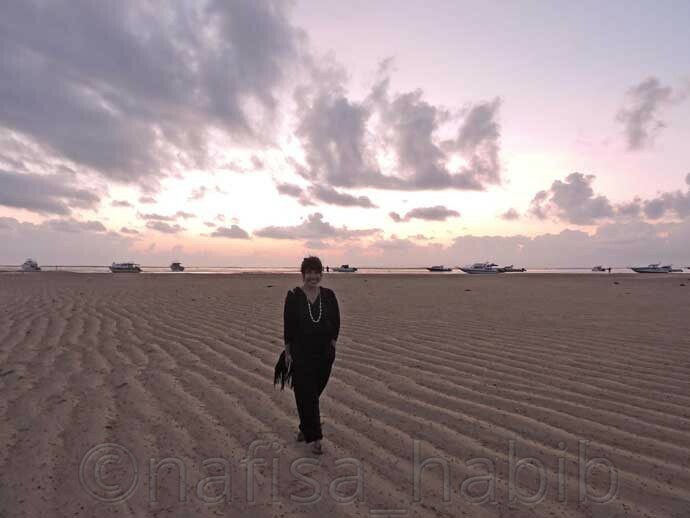 And you’ll love relaxing morning beach walk, the beautiful sunrise and the calmness. 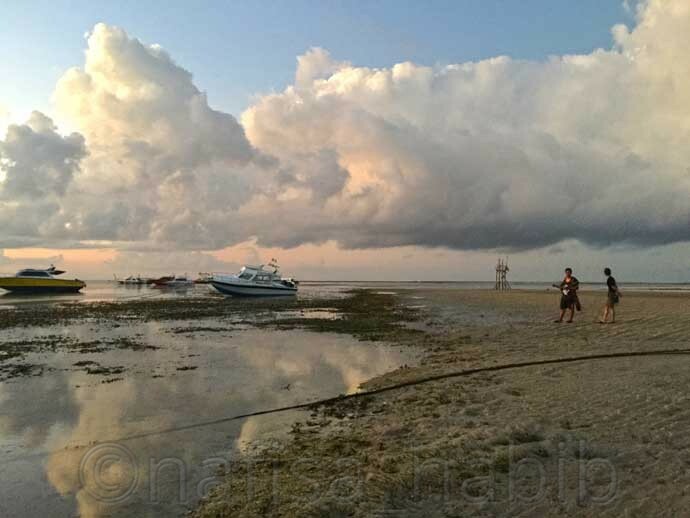 Sanur Beach is also popular as Sunrise Beach. The main tourist attraction is to watch the sunrise. Bali Seawalker, the underwater beach activity is also another top attraction of Sanur Beach. 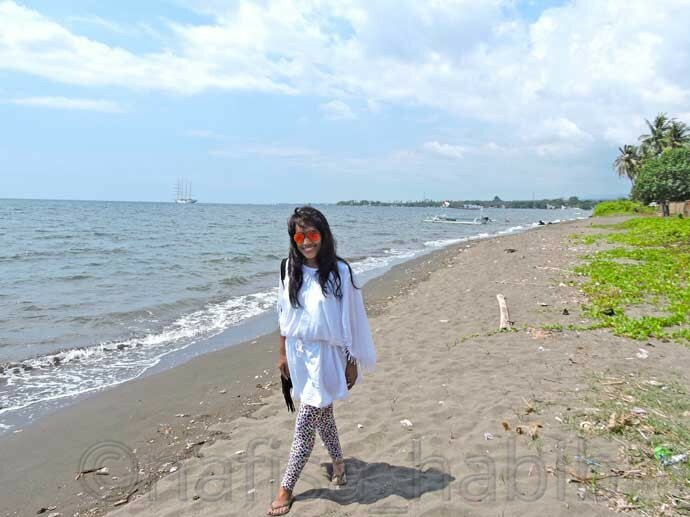 Lovina Beach is one of the most popular beaches in Northwest Bali. You can also find many dive centers to enjoy the underwater adventures. Scuba diving and snorkeling are two of the best water sports activities at Lovina Beach. There are many seafood stalls beside the beach to have lunch and dinner. Moreover, you’ll get the fresh seafood here at a reasonable price. Fishing and dolphin watching are the main attractions of Lovina Beach. 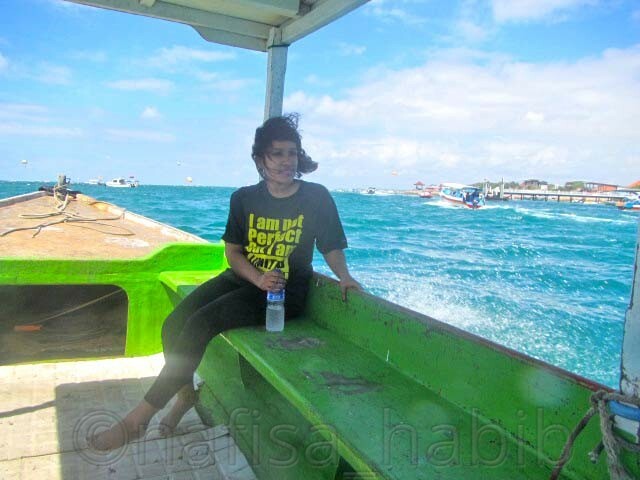 And you can take a whole day trip by boat to watch dolphins. 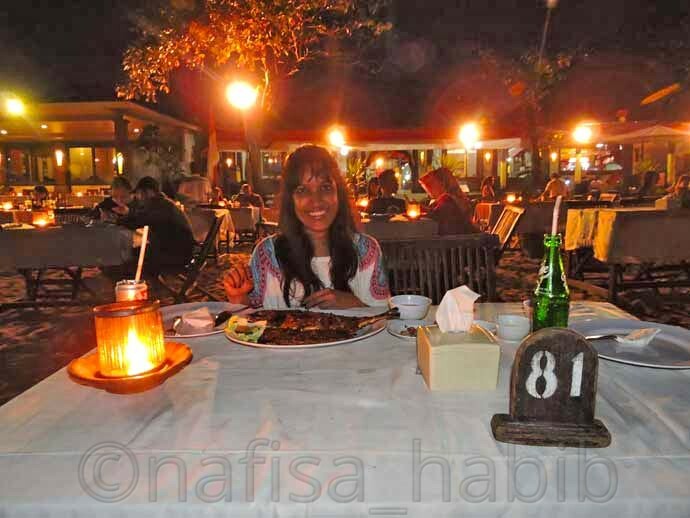 If you’re in Sanur then don’t miss to visit Sindhu Beach. This beach is not the popular one but worth to visit. It just takes 10 minutes to visit Sindhu Beach from Sanur Beach. You’ll love the tranquility of this beach in the early morning. 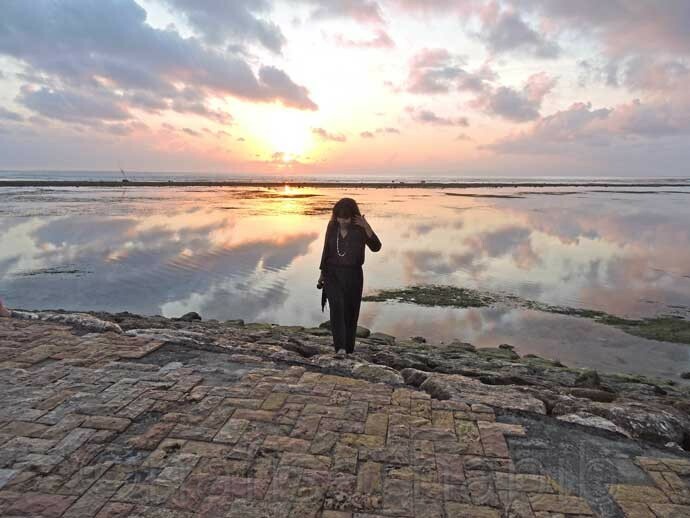 The beautiful sunrise is the main attraction and worth to watch from Sindhu Beach. Sindhu Beach is also a perfect surfing spot. Also, you can try surfing here to avoid the rush in Kuta Beach. 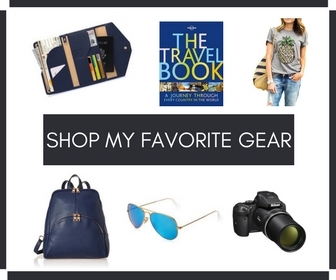 Furthermore, don’t miss to carry your best beach holiday essentials to enjoy a perfect beach time in Bali. Bali beaches are not only pristine and beautiful but also offers many adventures for beach lovers around. Hence will you like to recommend any other top beaches in Bali? Feel free to share your experiences in comments! Bali is an amazing place, but not necessarily considered a beach-lovers paradise. That’s what I heard. We stayed in Ubud for a week, and then we moved for another week to Candi Dasa. 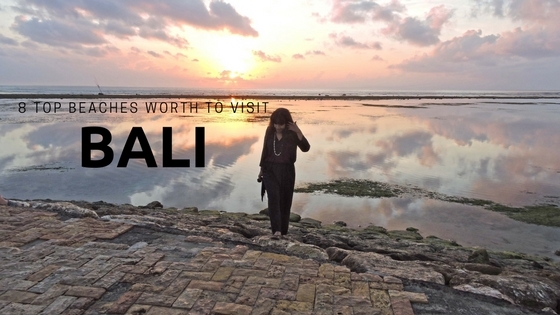 So I am glad I can explore some more of the Bali’s beauty through your blog post and pictures! Great beaches here! Yeah, I agree! I loved the authentic Bali most. I didn’t visit Candi Dasa. Thank you for sharing!! 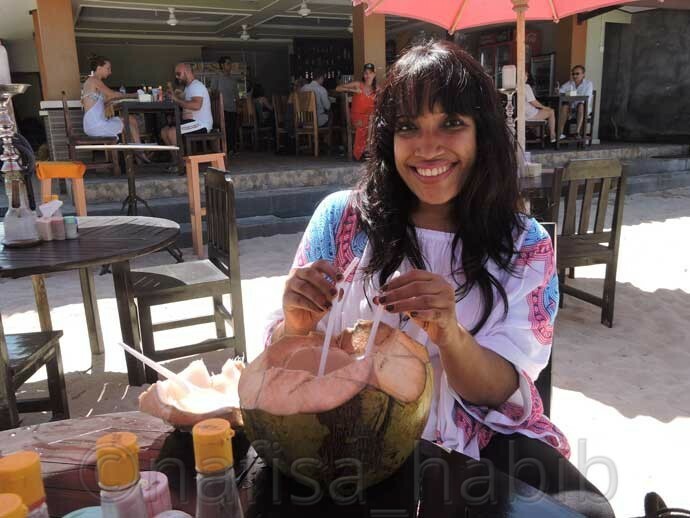 I will travel to Bali in September.. really looking forward to experiencing the beaches, all the sunsets and the amazing food 🙂 thanks for sharing this article! I’ve been dying to go to Bali and this was amazing to learn from. The beaches look so serene and peaceful. Did you take a surf class while there? The photos look amazing as well, so stunning! As a solo traveler how to do take the photos? Do you ask the locals or have a stand? I’ve heard beautiful things about Bali! When would you suggest is a great time to visit?